Our exclusive baby girl clothes and accessories collection includes very practical and cosy basic baby outfits, such as bodysuits, rompers, sleepsuits, jackets and dresses. Ideal accessories, such as leggings, hats, shoes, booties or bibs, all personalised with embroidered baby name, complete the set. In our christening or ceremony collection, you will find silk christening gowns or beautiful ceremonial rompers and dresses for a christening or any other celebration, all handmade. Classic Liberty print baby boy suit. This Atelier piece is the choice for Spring-Summer season and special occasions. Classic new baby girl dress with Liberty print. This atelier piece is the choice for spring-summer season. 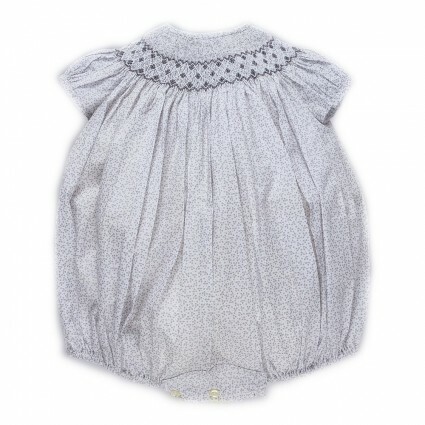 Nice baby basics to stay cool and in style on sunny days. BebeDeParis Atelier Collection. 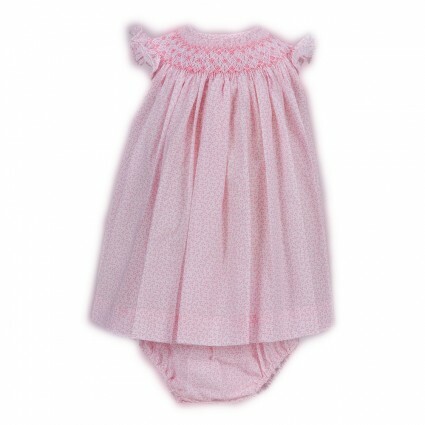 Exclusive baby designs made in old and classic fashion ateliers with the best fabrics and textiles. Unique baby clothes.